Was about to post this for hour rule but got beaten to it. Decided to just post it anyway. 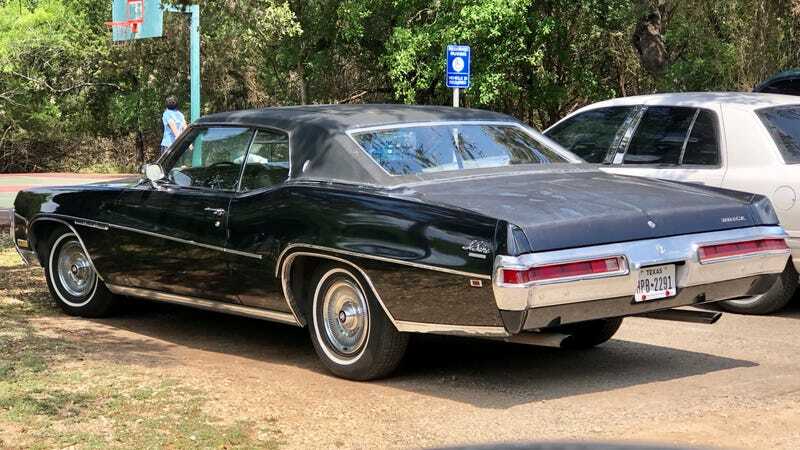 1970 Buick LeSabre Custom coupe at a local park. Appears 100% original down to the hubcaps. And rolling on standard tags no less.